M ONROE — The Historic Fiske Theatre in Oak Grove, La. is set to once again become the first movie theatre in the nation to debut the latest film from R-Squared Productions of Monroe, La. 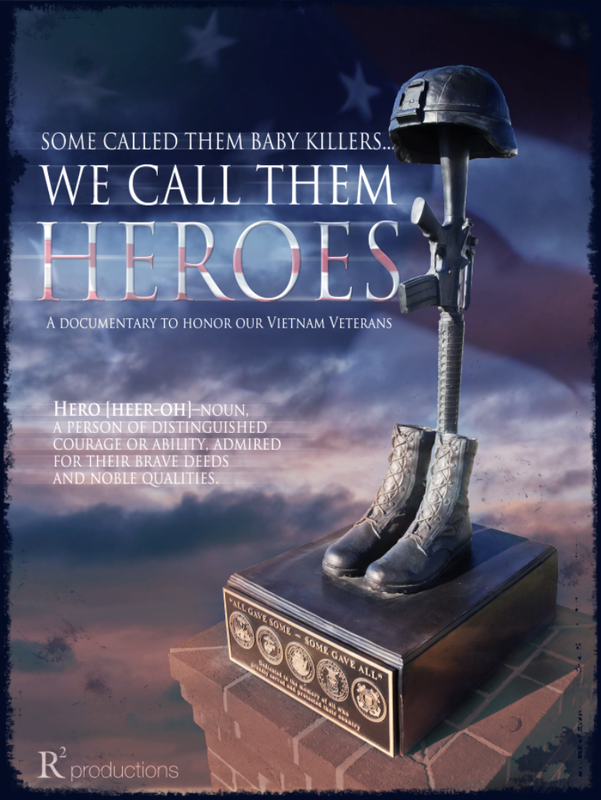 Some Called Them Baby Killers…We call them HEROES, Veteran’s Day Night, Thursday November 11 at 6:30 p.m. Admission is $5.50 for adults, $2.75 children six and under and Veterans will be admitted free of charge. The film will play for one night only and will not affect regular Friday, Saturday and Sunday showings of Life As We Know It. The documentary takes a closer look at the unheralded heroes of the Vietnam War and their family life as they anticipate the Vietnam Traveling Memorial Wall’s first visit to Monroe. R-Squared Productions is the same studio that released Flag of My Father which made its theatrical debut at the Fiske Theatre in April. “When I heard about this film, I thought it would be perfect to show on Veteran’s Day.” W.C. Chamber Director Adam Holland said. “We have many Vietnam Veterans in our area, and this is one way we can pay honor to them and educate the people of my generation and younger on the sacrifices they made for our country. Juniors and Seniors from West Carroll Parish Schools will be invited to a special edited screening of this film Friday morning following its public screening Veterans Day Night. This entry was posted in Uncategorized and tagged Fiske, Heroes, Veteran's Day. Bookmark the permalink.